GENEVA, Switzerland, October 26, 2017 (ENS) – Elephant poaching in Africa continued trending downward in 2016, the Convention on International Trade in Endangered Species, CITES, reported this week. Records show the highest level of seizures of illegally traded ivory since commercial trade was banned by CITES in 1989. But conservationists warn it is too early to celebrate. The two CITES programs base their findings on unique first-hand information on the illegal killing of elephants collected by ranger patrols in over 60 MIKE sites across Africa, and government-reported ivory seizures. “This shows us what is possible through sustained and collective front-line enforcement and demand reduction efforts, coupled with strong political support,” said Scanlon. The MIKE analysis shows which MIKE sites are heavily hit by elephant poaching, but also where illegal killing is lessening. The number of elephant carcasses found at three MIKE sites in Tanzania, for instance, dropped by 55 percent in 2016 compared to 2015, and a similar decline was recorded from a MIKE site in Kenya. While Tanzania remains the sub-region’s stronghold for elephant populations, elephant numbersin Uganda, Kenya and Rwanda are also stable or on the rise. 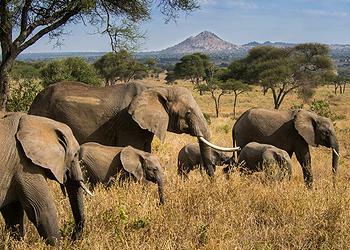 In southern Africa, Botswana still maintains the largest elephant population of any country in Africa, by far. Elephant numbers in Namibia and South Africa have also increased according to the latest conservation status data on African elephants, based on a new full African Elephant Status Report 2016, the first of its kind since 2007. The news is not so positive for Central Africa, where large losses of elephant populations have been reported over the last 10 years, and levels of illegal killing remain very high. IUCN estimates that the population of elephants across Africa declined by 111,000 over the past 10 years. The South African nonprofit Conservation Action Trust, CAT, reports that in Central and West Africa, the levels of elephant poaching remain dangerously high. In Zimbabwe, there has been a rise in cyanide poisoning of elephants in Hwange, and the Zambezi Valley elephants have been declining steeply, CAT warns. Mozambique has lost over half its elephants in the past decade, while areas in Zambia and Angola have recorded the highest carcass ratios – 75 percent dead to 25 percent live elephants. 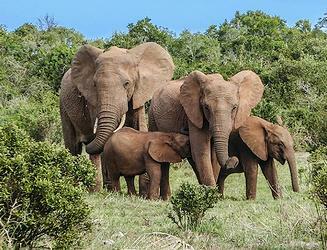 In the last decade, according to the Great Elephant Census, an aerial survey funded by Microsoft co-founder Paul Allen and issued in 2016, elephant numbers have crashed to unsustainable levels in the Democratic Republic and Central African Republic and in some countries like northern parts of Cameroon elephants have almost become extinct. The UK-based wildlife trade monitoring network TRAFFIC points out that the good news is confined to East Africa. 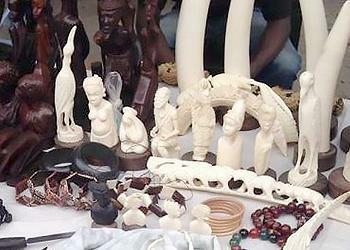 “Today’s findings show a volatile and unsettled ivory trade equation. A spate of positive policy changes and law enforcement actions have not yet suppressed record movements of illegal ivory, and trade patterns are shifting as traffickers struggle to find the path of least resistance to carry on,” said Tom Milliken, who manages ETIS for TRAFFIC. CITES says the overall trends in the poaching of African elephants show that the sharp increase in the levels of illegal killing of elephants since 2006 peaked in 2011. The ETIS analysis shows that 2016, when nearly 40 tonnes of ivory were seized, is the year in which the greatest number of illegal ivory seizures was reported. The overall weight of seized ivory in illegal trade is now nearly three times greater than that recorded in 2007. “The upward trend in the amount of illegal ivory seized as compared to the gradual downward trend observed for elephant poaching since 2011 may reflect a scaled up enforcement effort by customs and police and a more vigilant transport sector,” said Scanlon. “There could also be time lags between poaching elephants and trafficking their ivory, or the entry into the illegal trade of ivory stockpiles,” he said. “But the spike in seizures of illegally traded ivory in 2016 may also be an indication that ivory trafficking has been influenced by the prospect of greater controls, the imminent domestic ban in several countries and anticipation of continued drop of price,” Scanlon said. “As a result, international syndicates behind this poaching and smuggling may be involved in a panic sell-off as they realize that speculating on extinction was a bad bet, with the an ever increasing risk of getting caught,” he speculated. Since CITES CoP17, China has announced the closure of domestic ivory markets within a specific time frame, and the United Kingdom has expressed its intention to do so. Recent reports from non-governmental organizations also claim that the price of ivory has plummeted over 50 percent in the past few years. There is evidence that raw ivory tusks that have entered into the destination markets in Asia have already exceeded the level of consumption, according to the first World Wildlife Crime Report published in May 2016 by the United Nations Office on Drugs and Crime, a partner of CITES in combating wildlife trafficking. This is what Scanlon calls “a dynamic time.” Governments in 20 countries are making unprecedented efforts to implement National Ivory Action Plans under CITES, and more political commitments and collective international efforts have been generated in the past few years, including by the transport sector. Additional funding is being earmarked for combating wildlife trade crime, and there are greater than ever enforcement efforts on the front line, including tightened anti-poaching efforts and the use of new technologies to detect and interdict illegally traded ivory. At the same time, wildlife traffickers are responding to these stepped up protective efforts with adaptations. For example, although 2016 sets the record in the number of large scale seizures and overall weight, it is also the year with the lowest average weight per seizure recorded in the past six years. Traffickers could be reducing the size of shipments in an attempt to avoid economic losses when they are seized, Scanlon suggests. There is a growing concern and increasing evidence of ivory processing in Africa by Asian nationals for export to Asia. 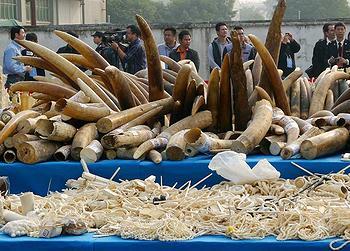 This involves smaller volumes of worked ivory carried through airplane check-in and carry-on luggage or couriers. Scanlon considers this development “a serious threat,” and says adequate enforcement efforts to stem this illegal flow will be deployed. Also, an increasing number of elephants are being illegally killed through human-elephant conflicts, which will become of increasing concern over coming years. “And while the African elephant is seeing some gains it is not across all regions, with some local populations still under serious threat,” concluded Scanlon. He warns that other species, especially high value timber, are now being increasingly targeted by transnational criminals. All these developments will be discussed by the CITES Standing Committee at its forthcoming 69th meeting in November.